This is just a quick reminder that I have already started uploading the crafts for the two VBS program winners. Check them out on my site or visit my Pinterest page. This entry was posted in Bible Crafts, Updates and tagged Cokesburry, Lifeway, quick reminder, Submerged, Surf Shack, update, Vacation Bible School 2016, VBS 2016. In the next couple of weeks I will be working hard on coming up with the crafts for these two V.B.S. programs. I will post the crafts up in mid/late March. This entry was posted in Updates, V.B.S. 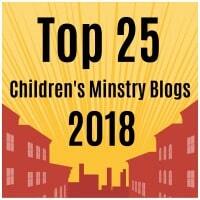 2016 and tagged bible crafts, Cokesbury, Lifeway, update, VBS 2016, VBS winners.